Build a healthier relationship with technology with this simple plan. If you think detox retreats are too much but the Moment app is too little, consider this weeklong plan the perfect balance. It’s practical and doable but totally effective. Try it today and let us know how it goes, will you? Unfollow people who aren’t your real friends, unsubscribe from unwanted email lists, and delete apps you don’t use. Resist the urge to look at your phone first thing in the morning. Set up a charging station outside of your bedroom, and don’t look at your phone an hour before bed. Go out to dinner, and leave your phone at home. Spend the day not looking at or posting to social media. Turn off your smartphone for the entire day. 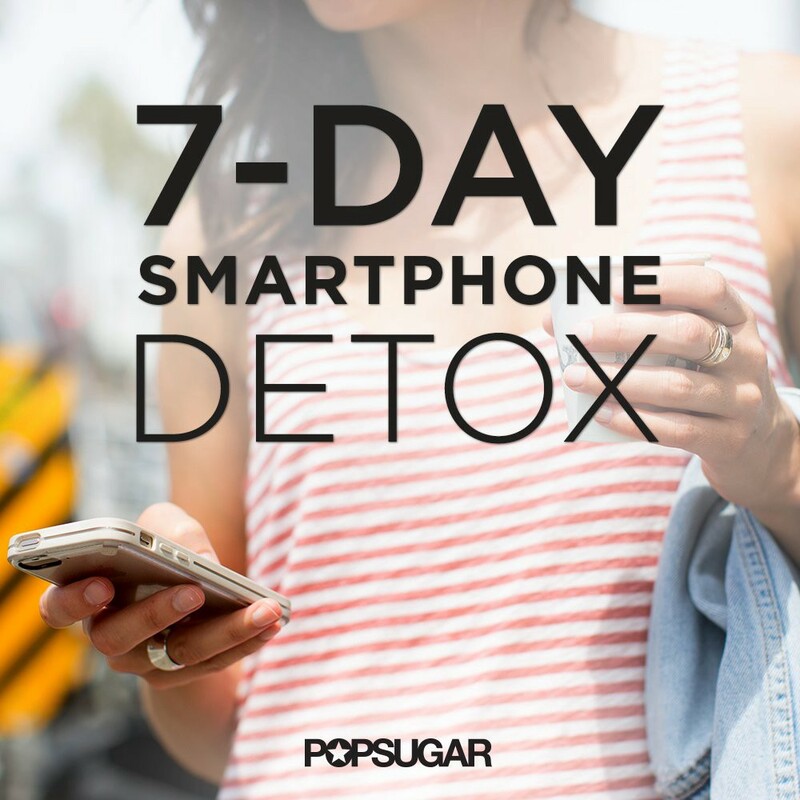 POPSUGAR has joined Thrive Global in celebration of Screen-Free Week, May 1–7, 2017. We hope you’ll use this guide to join us. This post was originally published on POPSUGAR Smart Living.